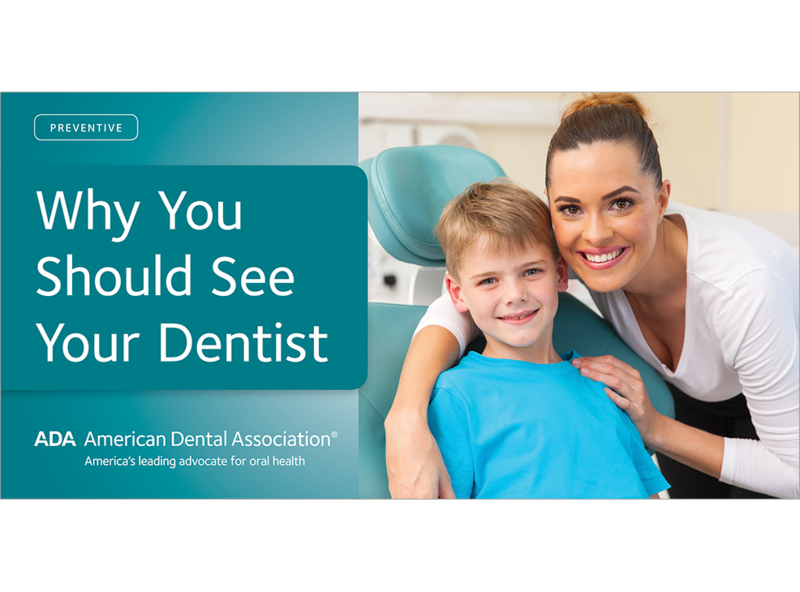 For any patient who needs an extra nudge, this brochure answers the question, “What’s in it for me?” Frames the dental visit as a way to stop decay, prevent and treat gum disease, have whiter teeth and fresher breath, get screened for mouth and throat cancer, and ensure that they are healthy overall. Ideal for recall mailers, health fairs or new-in-town packets. 6 panels. Minimum order 150. Click Add to Cart then personalize for free. Now you can add personalized information on the front, back, or both covers on all brochures.